Located North to Santa Cruz Baltra island also known as South Seymour is a flat island which for the most part displays an arid zone with little vegetation. The grasslands of Baltra do provide habitat for several species of birds, from small ground finches and noddy terns to large brown pelicans and the prehistoric black frigate. Sea lions also can be spotted on occasion. There are two docks available in Baltra. 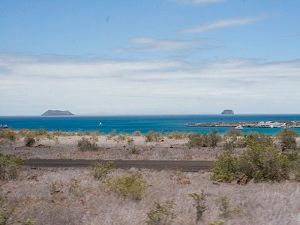 One, not far from the Airport where boats are docked, and the second one where visitors connect head directly across to Santa Cruz Island via ferry, 15 min away from the airport. 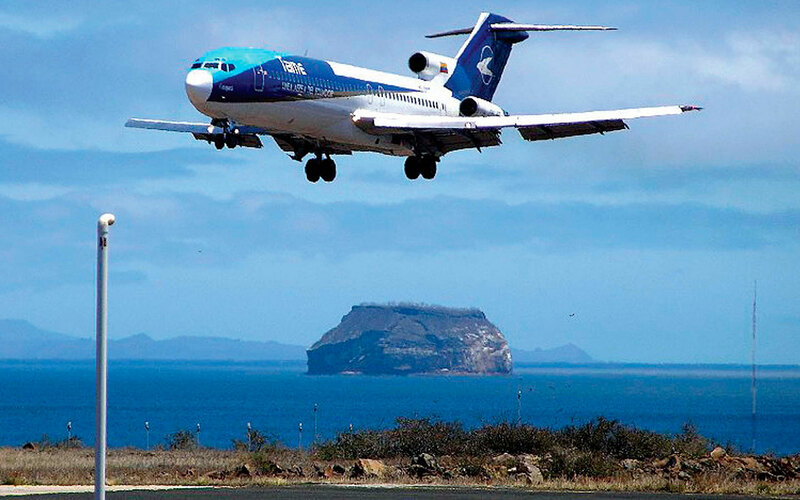 Used by the United States as an army air force base during world war II, which was then later passed on to the Ecuadorian government, nowadays is a new ecological airport that includes restaurants, shops and a visitor area. Highlights & Animals: Ecological Airport, arid zone with little egetation, finches, noddy terns, large brown pelicans, black frigate, sea lions.